You need to give your body, particularly your feet, adequate support. This means buying running (not cross training, hiking, etc.) shoes that support your foot type. It's also important to replace them every 300 miles or so because you wear out the soles and padding. No, they're not always cheap, but it's worth it. I took a test online (answered questions about my feet, stride, the way I land when I run, my arch, etc.) 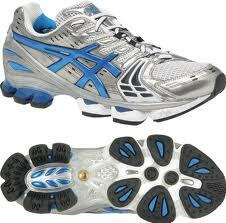 to find out what kind of shoes are best for me, then ordered them on holabirdsports.com. New Aasics for $80- score!! 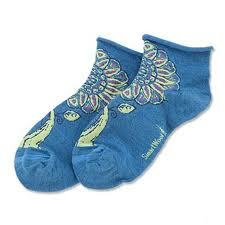 If you tend to get blisters easily like I do, invest in some good socks. I like smart wool. Plain cotton socks rub when they get sweaty, and blisters are no fun! I don't always listen to my i-pod, but I like having it available to pump me up if I'm running a big hill, doing a tempo run, or just trying to get myself to keep going on a long run. A little Come Thou Fount, Wave on Wave, or The World's Greatest are just what I need to get my mind right sometimes. 4. Become BFF with ice & epsom salt. 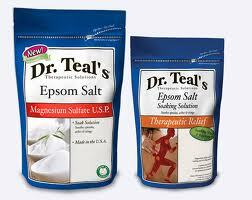 Epsom salt is seriously a magic formula. I cannot WAIT to get home from a long run and soak in an epsom salt bath with the jets on- it makes my life complete. Ice stinks, but it helps prevent and heal muscle and joint injuries. I freeze water in Dixie cups and peel the cup- cheap/easy way to give yourself an ice massage. 5. Stretch often (just not before a run). I can't day it enough. 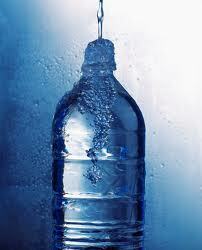 Water, water, water, and an occasional sports drink (just don't go overboard because they tend to have a lot of sugar). There is also lots of research about chocolate milk being a top post-run recovery drink. I LOVE cm, so I am in. 7. Eat a healthy,well-balanced diet. No low-carb diets while training! Think a combo of lean protein, complex carbs, and fruits and veggies. 8. Don't forget rest days! 9. Find somewhere you enjoy running, or people you enjoy running with. You may not be as fast as someone else or able to run for as long of distances, but you're still lapping everyone on the couch!! Keep it up, focus on your own goals, and be proud of what YOU and your body are accomplishing. If you're just starting out, don't be afraid to do some run/walks. Walk 3 minutes, jog for 1 minute. You'll build up cardiovascularly and as your endurance improves, you'll be able to run longer and faster. Think loose fitting, seamless, and dri-fit. Chaffage stinks. And burns in the shower!! OR go for some body glide if you can't afford a new workout wardrobe. :) Like me. And this might be helpful. I love this! All great tips. The title hit a soft spot in my heart, weird I know. When I was in high school that was my girlfriends and my motto for cross country and track. We would make shirts for every big race with that motto all over it. What do you eat after a run? I've read you need carbs and protein... I am typically not at all hungry once ive done my run. After my run I hit up the sauna, hottub,shower etc. and about an 2 hours later I have a normal dinner. The next morning, when im achey I drink one muscle milk for breakfast with a bannana. For a snack I have a greek yogurt... and thats about it for any recovery food then I eat normal meals. Do you have any advice?